The city’s new 5,000-seat theatre will be located next to the Hilton Hotel and be connected to Fallsview Casino by a new enclosed walkway. Ontario Lottery and Gaming Corp. (OLG) officially announced the site late Thursday, despite work already being done on the property for weeks. The $130 million venue will be directly behind the Hilton, facing Stanley Avenue, and is expected to open in mid-2019. Construction and maintenance is expected to create more than 800 direct jobs. A bill that would prohibit anyone from owning and breeding orcas in Ontario could impact 700 direct jobs in Niagara Falls and 36,000 indirect jobs across the region, says Coun. Wayne Thomson. But animal rights activists say Marineland could survive, even thrive, as a theme park without animals. “Anybody would put up their hand in a second in the municipality to make sure they protected that, but those 700 jobs precipitate, if you can imagine, 36,000 jobs not only in Niagara Falls but in the entire region,” Thomson recently said to a parliamentary committee at Queen’s Park. New York’s senators urged Canadian officials Thursday to protect the jobs, docking areas and brand name of the Maid of the Mist Co., regardless of whether another tour company is awarded launching rights around Niagara Falls. In a letter to Canada’s Niagara Parks Commission chairwoman, Janice Thomson, Sen. Kirsten Gillibrand said that the 150 jobs created by the American Maid of the Mist operation should be preserved and that the Maid of the Mist brand name be maintained. 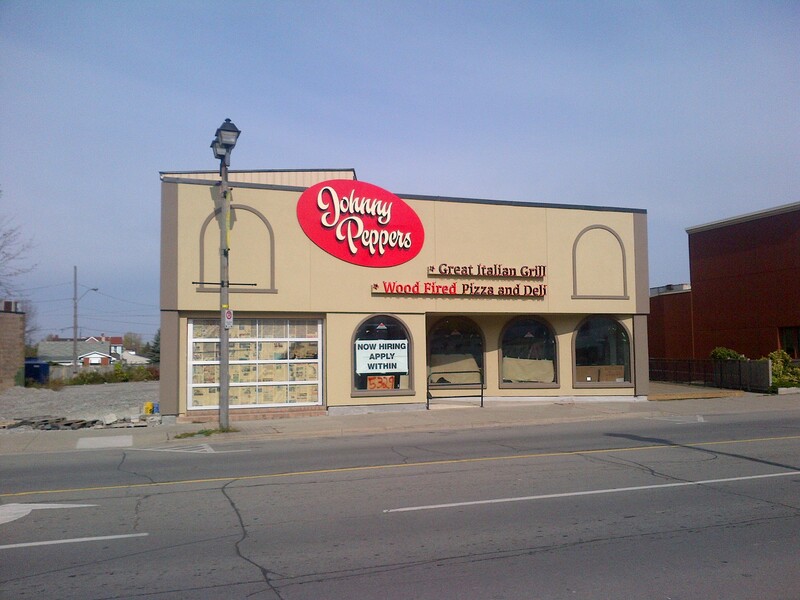 The new Johnny Peppers must be opening soon. They have a sign up that says they are hiring. Described as a critical piece of the pie in terms of attracting people to Niagara, the gleaming new Scotiabank Convention Centre opened in Niagara Falls on Friday to much fanfare. Years in the making, the new centre across from the old Loretto Academy attracted hundreds of people to the opening celebration. It’s expected the $100-million building, which received federal and provincial funding as well as funding from local business improvement areas and the private sector, will become an institution that generations of people will use for graduation ceremonies, proms, weddings, and business meetings. It’s also expected that the convention centre will have a huge economic impact: it’s already created 70 full-time and 210 part-time jobs, and it’s projected that it will generate $83 million worth of new visitor expenditures in the region annually. If those projections hold true, it will practically pay for itself in a little over a year. More star power and a bigger theatre in Niagara Falls could boost tourism, create jobs and give Niagarans a better chance of getting tickets to the entertainers who perform at the Fallsview Casino, says Mayor Jim Diodati. Encouraging the construction of a 7,000-seat entertainment centre will be one of city hall’s priorities over the next four years, Diodati said. “It’s something whose time has come,” the mayor said in an interview this week, after a report on the city’s strategic priorities identified it as one of the “new tourism products” that should be developed in Niagara Falls. There were about 40 businesses to choose from, but Tulliana Duiker had her heart set on three of them. “I’m actually looking at the convention centre, Marriott and the jet boat tours,” said the 19-year-old Niagara College student. Duiker was one of hundreds of Niagara College students who attended the annual Careers in Hospitality job fair at the Niagara-on-the-Lake campus Thursday. More than 40 tourism-related employers from across Canada set up booths and invited the college’s 1,500 students from the hospitality program to apply for various jobs. Casino Niagara and Niagara Fallsview Casino Resort cut 45 jobs Tuesday in one of the biggest single-day reductions since the casinos opened. “This overstaffing situation was unique to the table games department,” said Art Frank, president of Niagara Casinos, the company that manages the two government-owned casinos in Niagara Falls. The casinos had more supervisors and pit managers than they needed, due to “limited business growth prospects,” a reconfiguration of the gaming floor and a new scheduling process, casino management said in a one-page statement after The Niagara Falls Review asked about the changes.